Now, this isn’t your normal blog post, nor is there really a project to go with it. What I want to convey is some encouragement to continue doing what you enjoy….even if it means doing it differently. A little back-story of where I’m coming from. Last fall I was diagnosed with an auto-immune disease that is affecting my joints. Specifically, my wrist and fingers of my right hand. And I am right-handed. And I enjoy handwork, knitting, etc. There came a time where I couldn’t use my right hand to brush my teeth, let alone hold a needle to make a stitch. Making a long story short…I was determined I was not going to give up a craft that I love to do. Meanwhile, I had a growing pile of quilts needing binding. 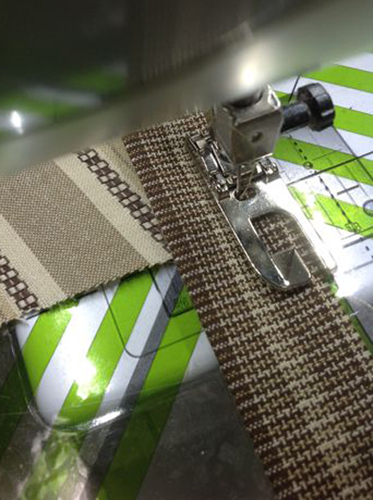 I have never been a fan of bindings sewn on by machine; when I have tried them in the past the results seemed so sloppy. Then I went on a search and found a tutorial about putting bindings on with a machine using a felling foot. To get all of the information and instructions, please visit Lisa Yarost’s blog, A Woman a Day. 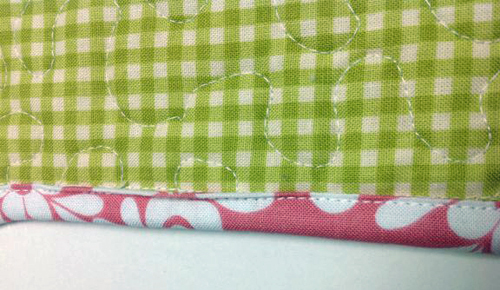 The tutorial is called Happy Feet – Quilt Binding Edition. What made my day was the fact that she was using a BERNINA sewing machine. 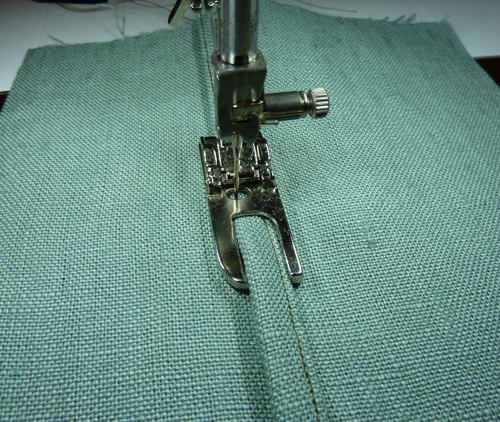 With determination I set off to purchase Lap Seam Foot #71, a foot used for sewing flat-felled seams. Using a crazy quilt table topper to practice on, I set about attaching the binding. I followed her instructions and yes, the corners were a little tricky. 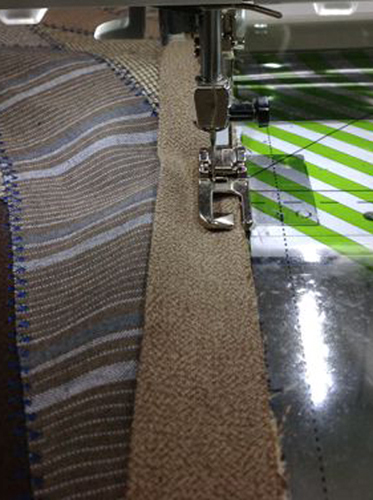 The fun part – I never thought I’d describe sewing binding by machine as “fun” – was seeing how the foot turned and stitched the binding into place! On this trial run I noticed a line of stitching peeking out from under the binding on the back side more than I would have liked. There is some trial and error here…. But, boy was I happy with the result on the top side! The stitching is so nice and straight right next to the fold. I went on to a project that had some batting and thought I would out-smart Lisa. Her blog says to cut the binding “TWO INCHES WIDE.” Followed by the words, “Please trust me on this.” Ummm… take my word for it… you should trust her! 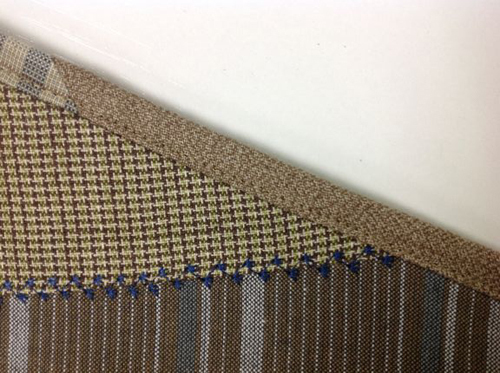 Although the wider binding I experimented with covered up the stitching (maybe) a little better, it also turned the binding’s edge because there was too much fabric for the foot to handle. My advice (and hers) is to practice and adjust the needle placement for the batting you are using before jumping right into your project. 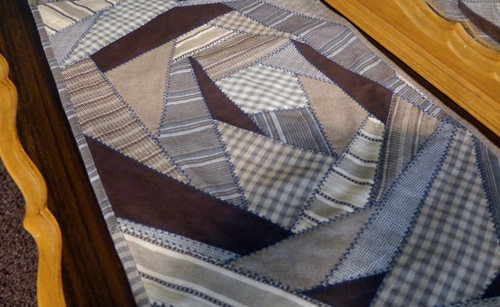 I design and make a number of quilts each year. 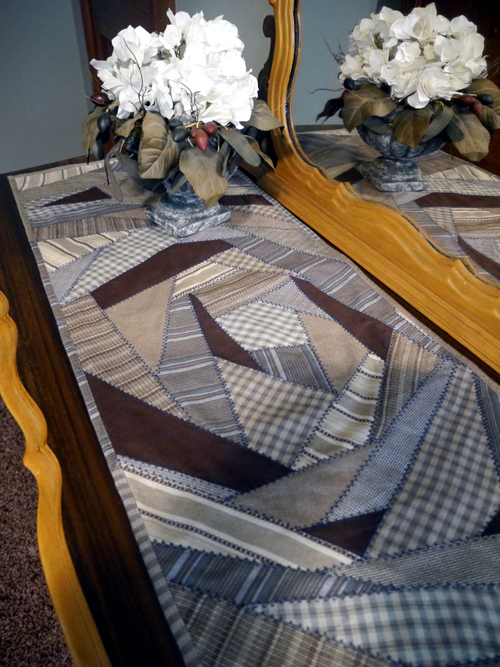 These quilts are photographed for pattern covers and used in trunk shows. Being a perfectionist I never would have thought that I’d be satisfied with showing a quilt that was binded in this way. After giving this a go… I’ve changed my mind! Not only does it speed up the process for me, but the results are very nice. The best part for me, for now, is that I know I can start and finish a quilt. 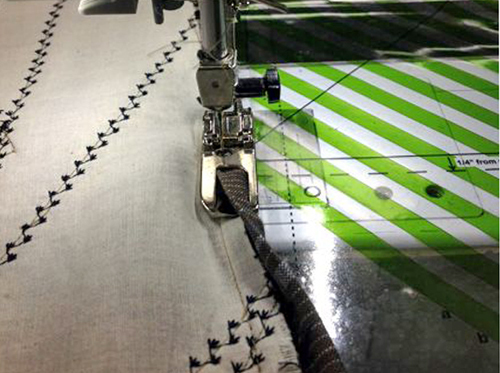 Determination and a BERNINA sewing machine go a long way together! Visit Kari at her blog, Pieceful Chitchat.